Athletic Improvement Company is launching its Golf Coach Pro Mobile App on the popular crowd-funding platform on Indiegogo.com. 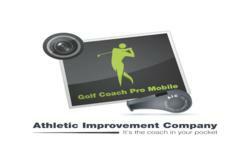 The app is a “golf coach in your pocket” and is priced at $4.99 for iPhone or iPad. The funding campaign runs Feb. 19- March 21, 2013. Investors “perks” include a free copy of the app, non-breakable golf tees, golf towels, and 24 PGA/LPGA swings. Golf Coach Pro Mobile Golfers enables golfers to improve their swings, by recording, analyzing, and comparing their performance instantly during practice or by comparing themselves to pro players’ swings, which can be downloaded separately. It can be used anywhere, indoors or on the driving range. The app also features a built in range finder, which uses the built in optics of the iPhone. Golf Coach Pro Mobile users can compare their own swings side by side with professional players giving them the ability to learn from the pros and develop a more consistent swing. Golfers of all ages and handicaps can use the app, and if you have an iPhone, you definitely need this app. The Golf Coach Pro Mobile app is priced at $4.99 from the app store in the Sports section.